Not Quite a Chic Pink! 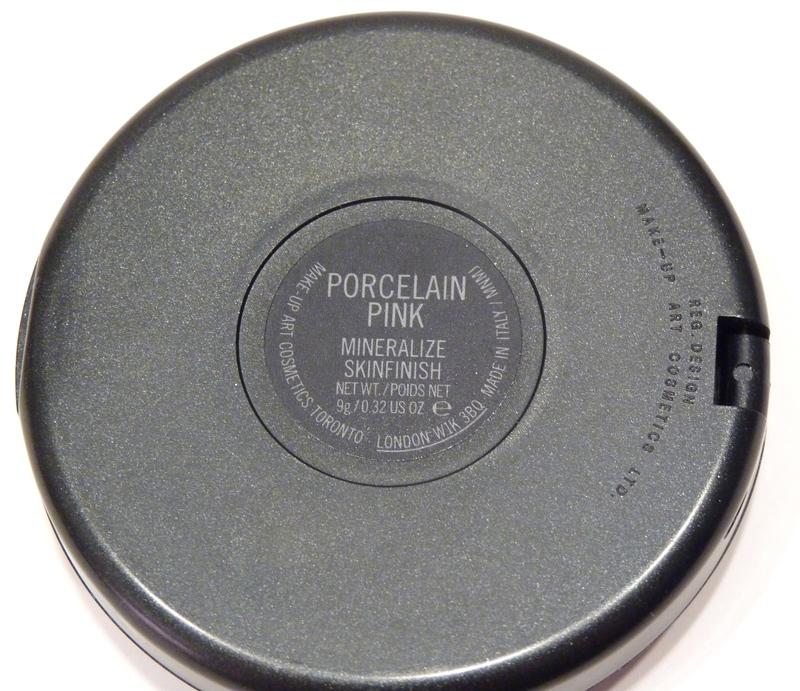 For some reason, I just wasn’t as impressed with MAC’s Porcelain Pink Mineralize Skinfinish ($29 for 0.32 oz./9 g.) as I have been with their other lighter MSFs. The company describes it as a “soft pinky coral with gold veining,” however, the one I purchased online (I now wish I would had purchased this in-store.) 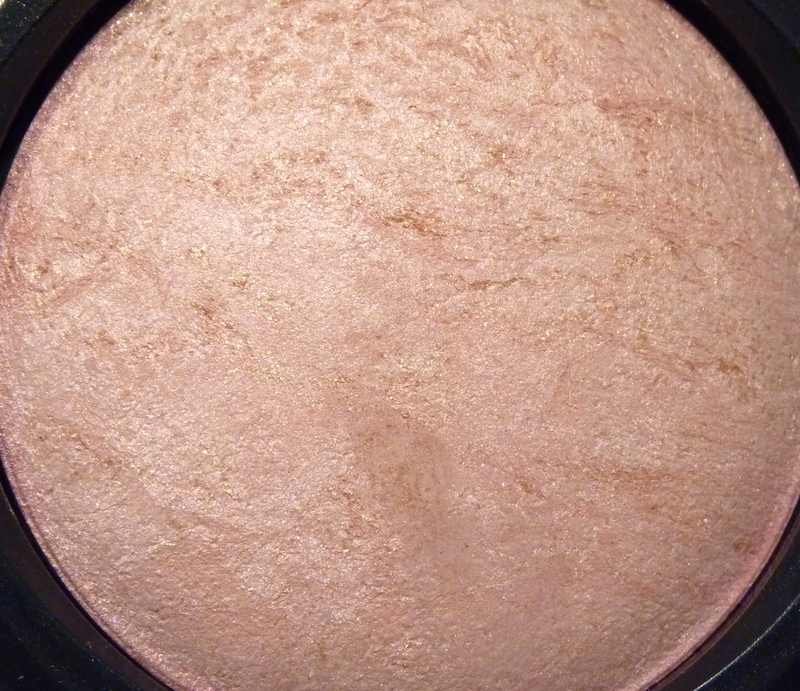 is more of a very light, golden ivory with a soft, pink opalescent sheen and gold and pink sparkle. I think I wanted it to be more pink, but that aside, it works well on lighter to medium skin tones and adds a bit of warmth to those who have pink undertones. This did not apply as evenly as some of the other MSFs I have tried (it was worse when wet) and the pigmentation was not as strong. 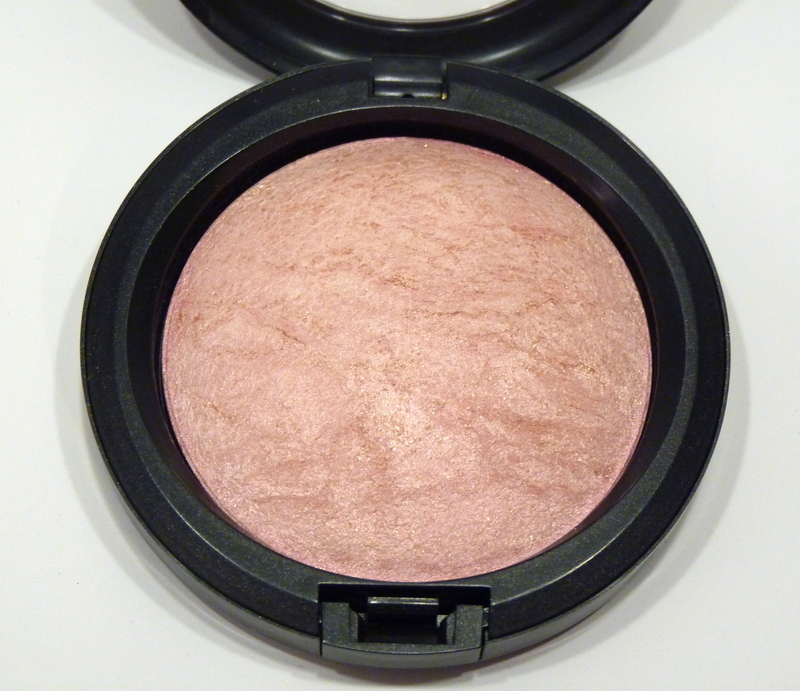 It has a soft texture, but is not as buttery as one would hope, which is probably due to the sparkle. It was also powdery, but it did not show any signs of chalkiness. 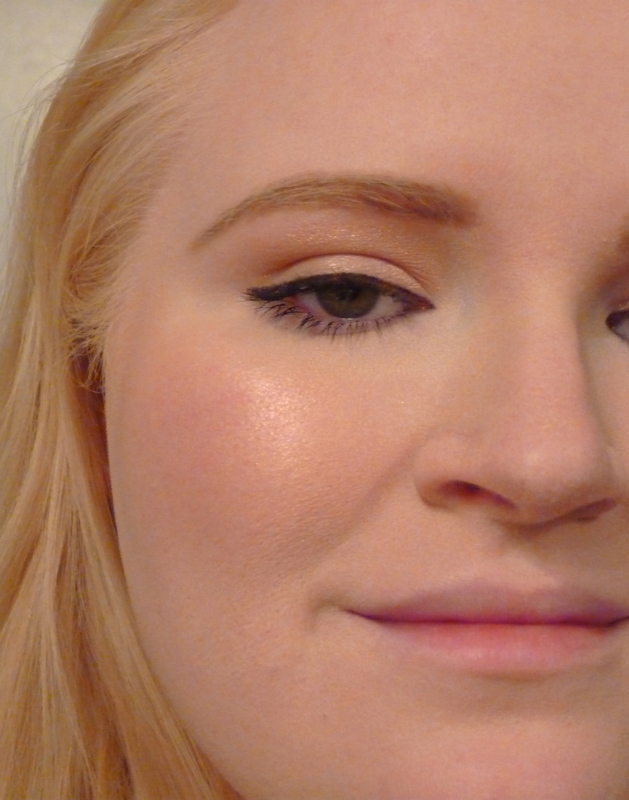 The ivory undertones blended in perfectly with my foundation and left my cheeks with a subtle pink shimmer. After a few hours of wear, I noticed it started to look a little patchy, and after about 6 hours, the sheen began to subside. As I have stated in other posts, the color and sparkle of any particular Mineralize Skinfinish can vary from compact to compact due to the amount of veining. 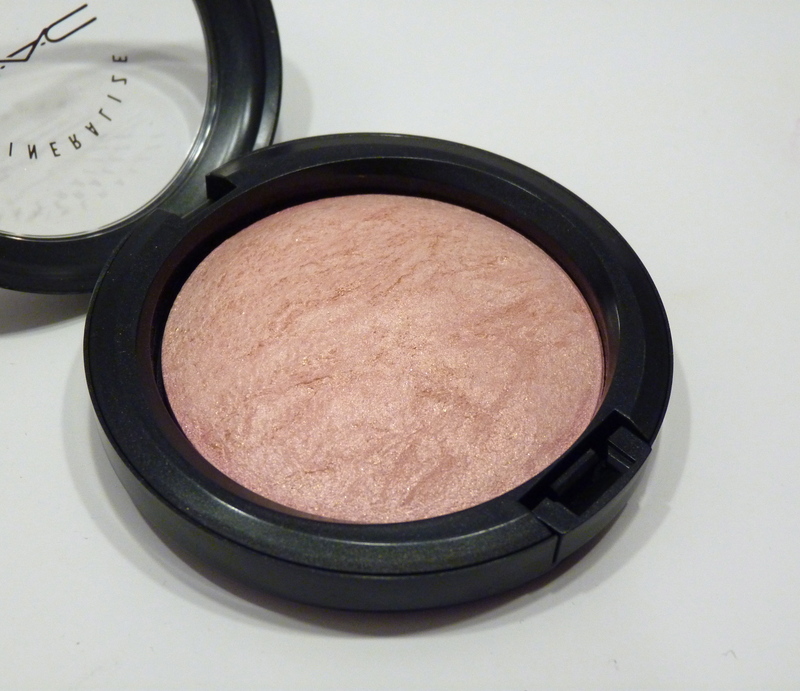 I think the particular shade is best suited for those looking for a subtle cheek highlight, or for those who want an all-over face product to give you a “glow from within” look (which is most likely how I will use it). Update: Due to selling in countries that require animal testing, MAC is no longer considered a cruelty-free brand. Please excuse the error in The Final LAB Report. TheLABofLuxury apologizes for any confusion this may have caused. 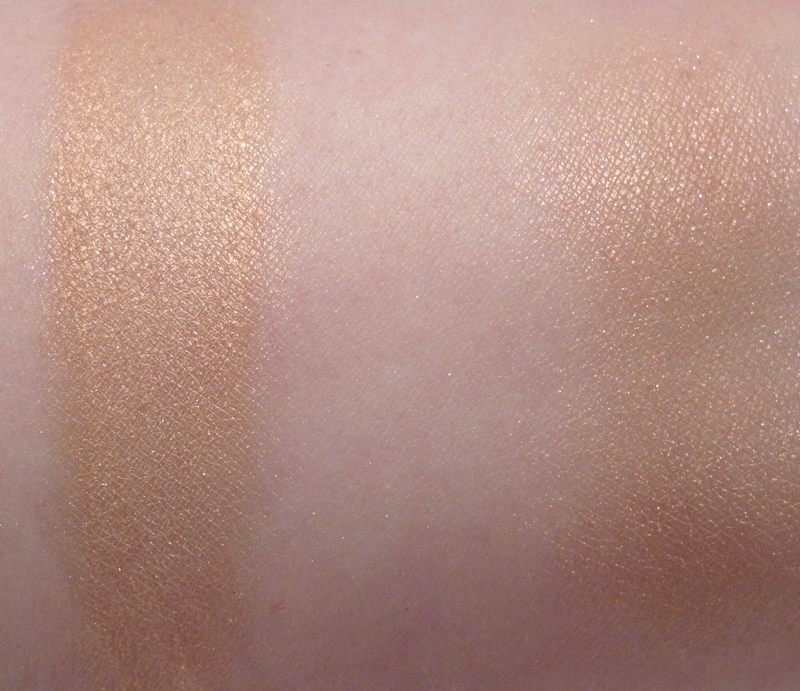 Keep reading for more photos and swatches! 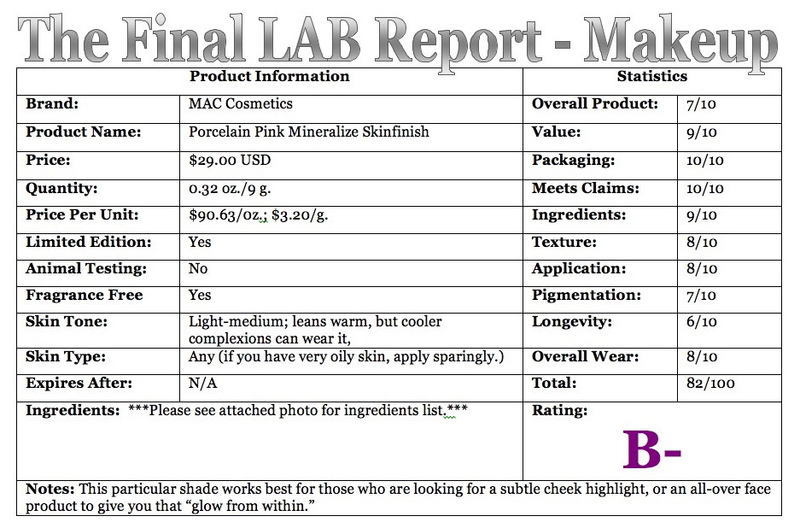 Disclosure: The product(s) featured in this post was(were) purchased by TheLABofLuxury for review. 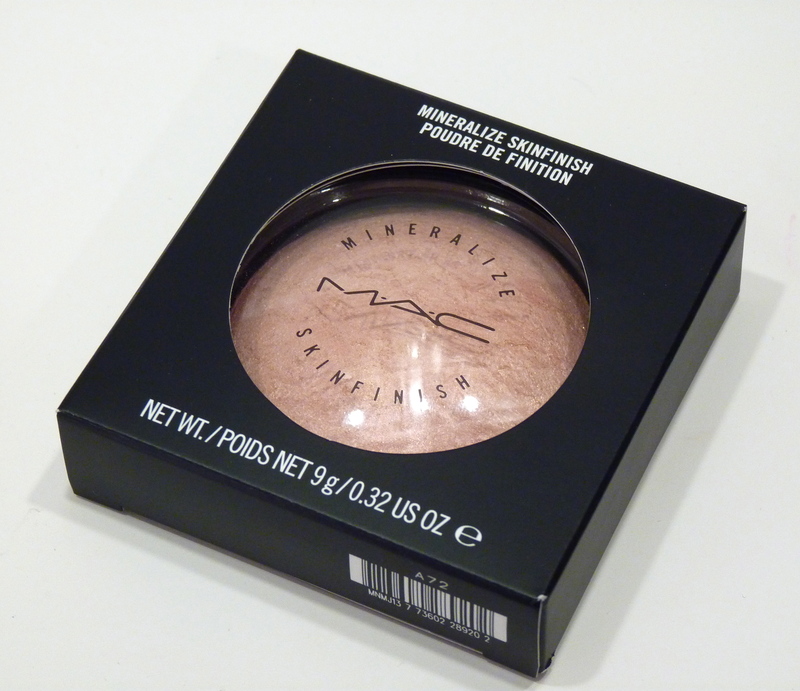 Posted on January 14, 2013, in B MINUS, BLUSH, BRAND, CHEEK PRODUCTS, HIGHLIGHTERS, MAC, MAKEUP, RATING, REVIEWS and tagged mac, mac mineralize skinfinish, mac porcelain pink mineralize skinfinish, mac porcelain pink swatch, rating: b minus. Bookmark the permalink. Leave a comment.